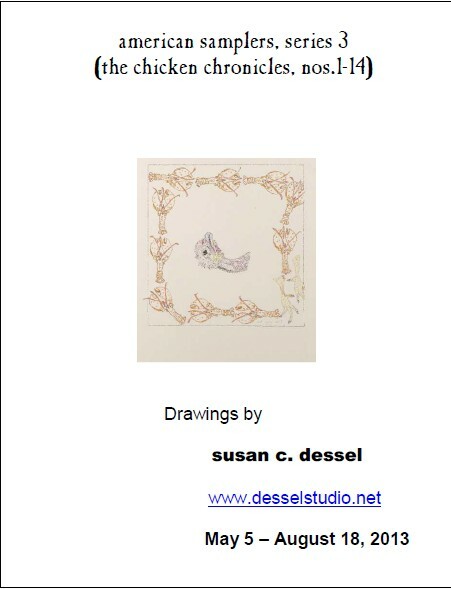 "American Samplers, Series 3 (the chicken chronicles nos. 1-14)"
Opens the 2013/14 season of the The Gomez Mill House Historic Site, the oldest existing Jewish residence in the USA, Marlboro NY. 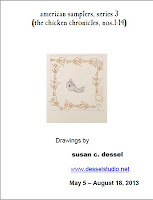 Artist's Talk on Sunday, June 23rd, 1-2 pm. Admission: Gallery Only: $3. $2 Seniors. $1 Ages 5-18 & Students with ID. General (includes Gallery Admission): $8.00. $6.00 Seniors. $3.00 Children 5-18 & Students.